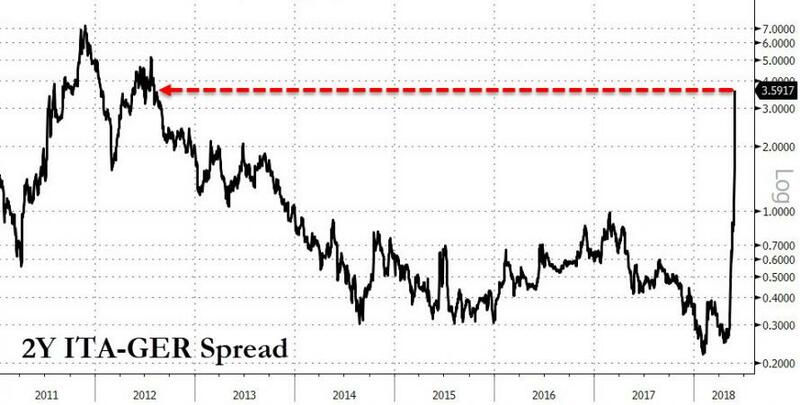 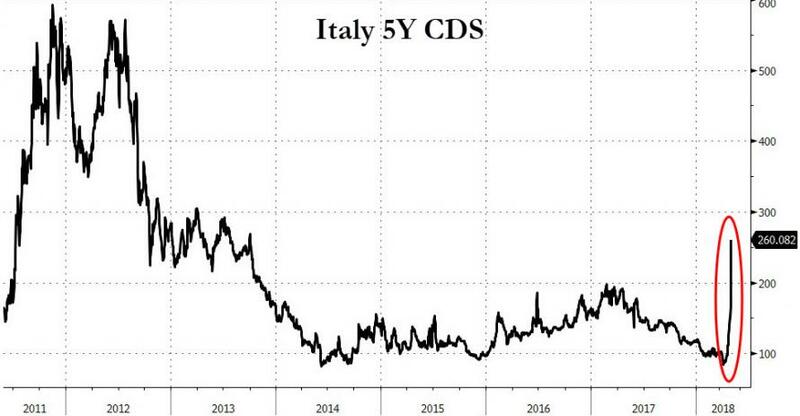 Aside from the period from mid-Nov to Mid-Dec in 2011, the Italian risk curve has never been more inverted. 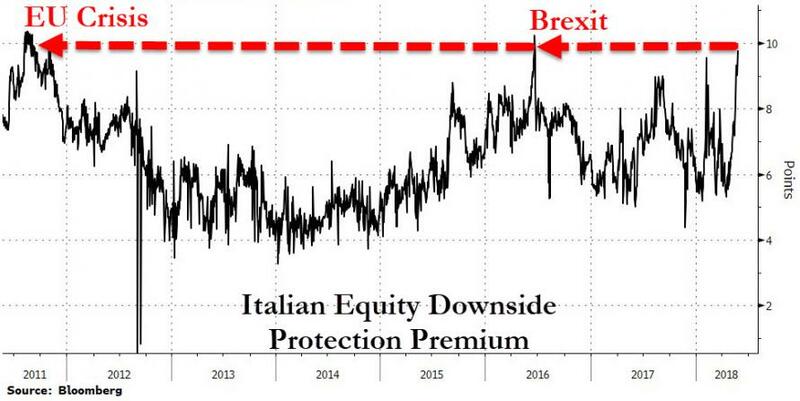 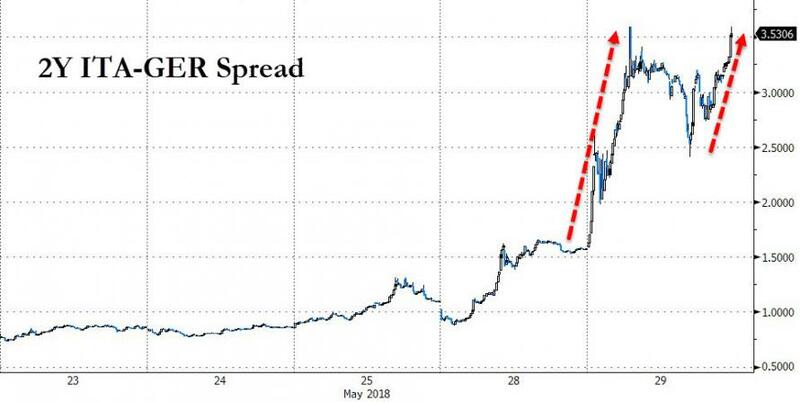 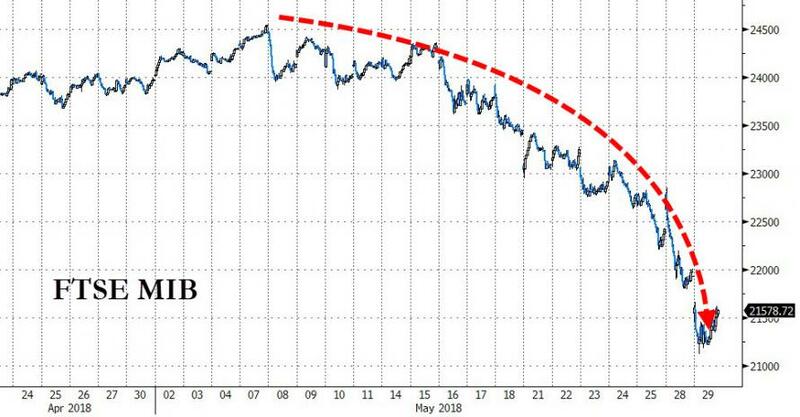 And despite the modest bounce off today's lows - as every European politician attempts to calm any anxiety - investors continue to pay up massively to protect their stock and bond investments. 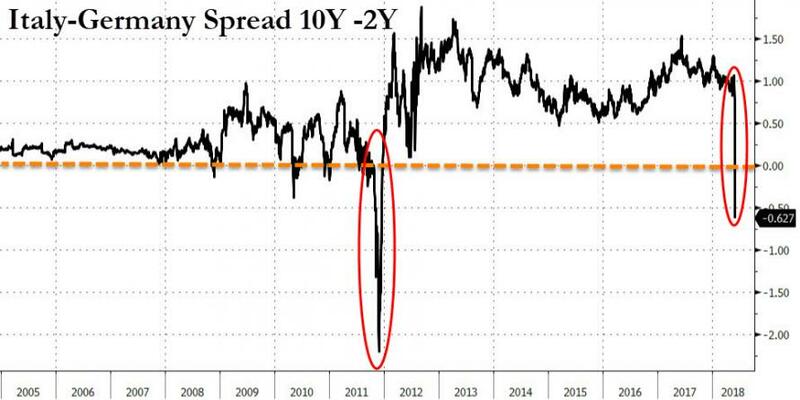 Note that the chart above shows the "false alarms" that equity markets had before they were stomped on by The ECB. 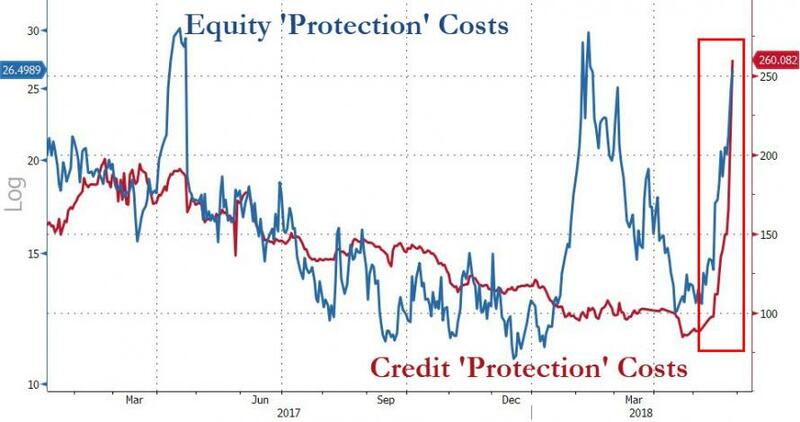 This time, the credit market crash is confirming the equity market. 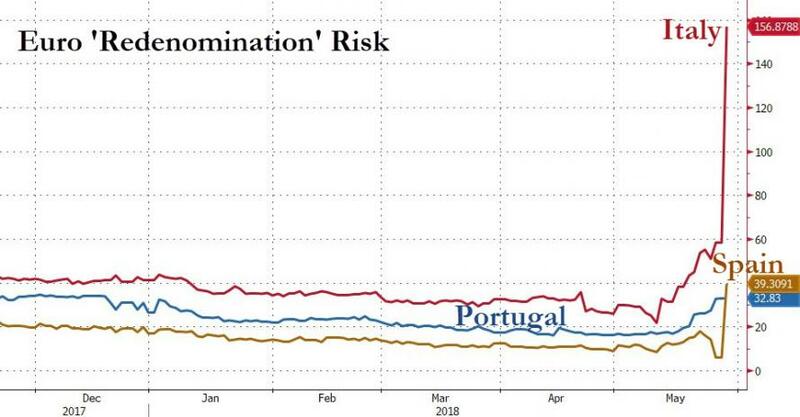 "Get back to work, Mr.Draghi"